Iconic Gospel music minister and voice coach, Segun Obe breaks silence with new single "Unquestionable", reflective of his state of mind as he adds another year. He presents the world with a gift crafted from that with which he himself is gifted on this special day that marks the day the gift - Segun Obe - came into the world. With a reverberating sound of contemporary Gospel music, Segun Obe puts melody to an eulogistic outburst of emotion that expresses gratitude to the Supreme One, who is unquestionable but chose to be gracious and merciful to His creation. One thing that cannot go unnoticed is Segun Obe's vocal dexterity. As a voice coach, he has trained several individuals and choirs of churches within the country and beyond including Harvesters International Christian Centre, Guiding Light Assembly, Holy Ghost Praying Centre, Daystar Christian Centre and a branch of Winners Chapel in Maryland, USA. He has a number of awards to his credit from his critically acclaimed albums. His recent singles include "Higher Octave", "Aka" and most recently "God Dey". Segun Obe has shared stage with renowned music ministers including Dr. Panam Percy Paul, Lionel Petersen, Donnie McClurkin, Kirk Franklin, Kurt Carr, amongst others. He is also one of the praise and worship lead singers of the Lagos Metropolitan Gospel Choir of House on the Rock Church (HOTR). 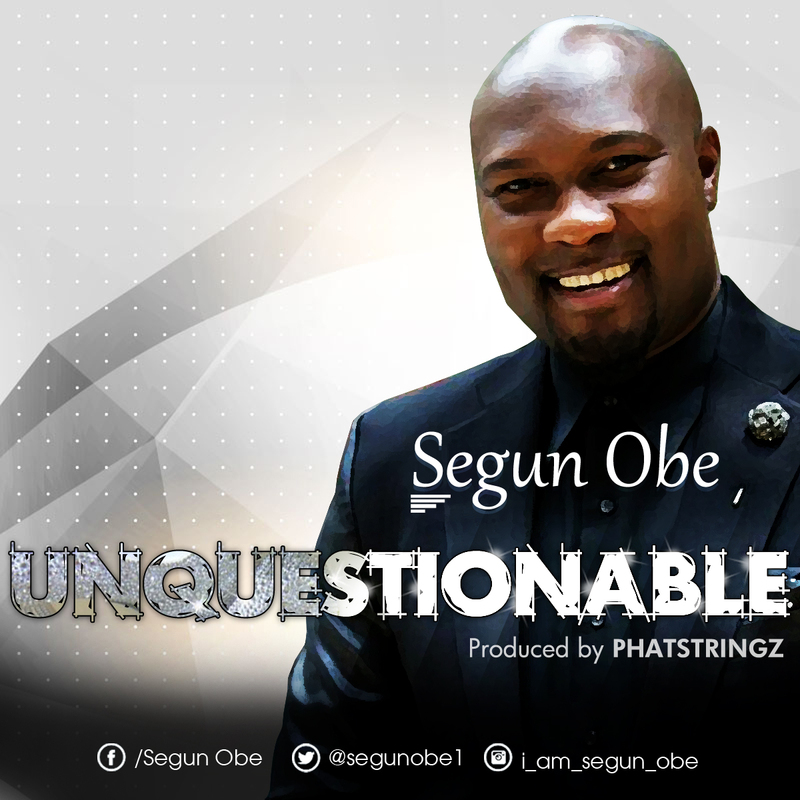 "Unquestionable" is off the stable of S.O Inspired Music. It was composed and produced by Phatstringz.